IF…. THEN…. in the Bible is significant. 2Ch 7:14 IF My people, who are called by My name, shall humble themselves, pray, seek, crave, and require of necessity My face and turn from their wicked ways, THEN will I hear from heaven, forgive their sin, and heal their land. (Amp) A primary thing must take place so that a secondary thing can. God is saying, “Seek Me, call unto Me so I can show you things to do and empower you to do what you have never done.” But, if we continue to seek man and call unto man, man will show us things that are within his grasp and understanding. Man will offer you things out of the trove of his poverty of human experience. The answers we need in our lives and in this present world situation far exceed the ability of human reason, religion, politicians and special interest groups. The reason we have not experienced some of the great promises and provisions of God is not because we have never heard of them, rather it is because they have been displaced by 1.) fear of things beyond our experience and 2.) unbelief and 3.) the influence of people and things that are not righteous. Shuffling people in and out of political office and just throwing more money at issues is settling for, at the very least, miserable facsimiles of the righteous solutions available from the throne of God. Those throne solutions will be completely different from our tried-and-failed standbys. 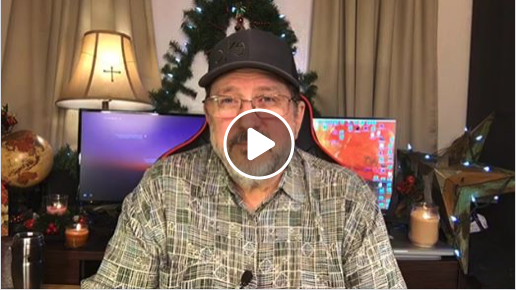 This entry was posted on December 5, 2018 by Marty Gabler. It was filed under Uncategorized and was tagged with 1 Thessalonians 4:17, 2 Chronicles 7, anticipation, Apostle, Barbara Yoder, Bethel Church, Bible, Bill Johnson, Body of Christ, celebrate, CFNI, charismatic, Chuck Pierce, church, Cindy Jacobs, circumstances, comfort, Daily Discovery, Damon Thompson, destiny, dreams, Dutch Sheets, elderly, encouragement, eternal, expectation, faith, father, Five-Fold, FMCI, future, gifts of the Spirit, god speaks, grace, Haggin, happy, healing, Holy Spirit, hope, Identity, if my people called by my name, intercession, Isaiah 9:7, Israel, Jentezen Franklin, Jeremiah 29:11, Jesus, Jim Goll, Jim Hodges, John 3:16, John Eckhart, John Kelly, Joseph Prince, Joyce Meyer, Kathy Gabler, Kim Clement, Kingdom of God, Lakewood, Lance Wallnau, life, Lindsey, manifestation, Marty Gabler, Matthew 6:10, Matthew 6:33, Melissa Gabler, Myles Munroe, obstacles, ORU, Osteen, power of god, prayer, problems, prophecy, prophesy, prophet, prophetic, prosperity, purpose, reasonable facsimile, Redding, rejoice, Rick Joyner, Rick Pino, righteousness, salvation, Savior, SEEC Ministries, sons of God, spiritual warfare, success, TD Jakes, Texas, Tony Evans, victorious, victory, visions, Will of God, wisdom, word of god.